The modern time is becoming too competitive increasingly with the passage of time. The way the businesses used to be dealt years ago is no longer the same as a result of the cutting-edge mobile and the internet technology. These days, it is quite common for businesses of all types to send mobile SMS for almost every activity the customers have carried out. Take for example, when you use your ATM Card and take the cash out of the machine, an SMS is typically sent to your mobile device about the transactions you have done. Also when you shop at reputable stores, you also receive special offers messages as well as advertising campaigns; that means the prospects are unbounded. By the by, for making the hard-hitting initiative of marketing a business a real success, the SMS technology is again the best choice. What’s more, they are also used widely for product releases and marketing competitions. As a result of using the cutting-edge SMS Technology, you get the opportunity to send a single message to a mass of people. SMS, by long odds, is the ticket for small business owners who can send a variety of attractive offers and other important messages to customers and prospects. SMS Verification with BroadNet Technologies is a piece of cake! 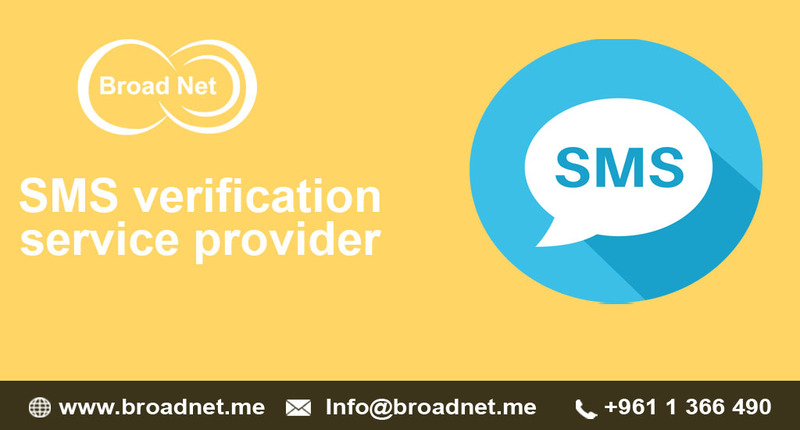 At BroadNet Technologies , we offer tried and trusted SMS verification services. We can use our SMS verification for any APP. Also, choosing our SMS verification services, you have to pay for every SMS you send. Our Dedicated number simply use once for each service verification code. We can assist you to verify your accounts such as Gmail, Facebook, Line,WhatsApp etc. Our mobile number is upgraded time and again. Our virtual numbers are also upgraded on a regular basis. We are committed to delivering become one of the most effective SMS Verification Services all over the world. So choose you straightforwardly and make the most of the services.